Remember how a couple of weeks ago I talked about the leaves changing early? Well, apparently we’re done with that. We had a long stretch of days in the 80’s and 90’s. I guess that slowed things down, so now we’re on track. Now all we have to deal with is walnuts. Lots of them. We have several mature walnut trees and this is a bumper crop, apparently. I’ve noticed that the number of nuts varies by year. This is probably the most I’ve ever seen. So much that I’ve had fantasies of chopping them all down. Just dreams! So far I’ve not gotten bonked in the head, though I’ve probably just jinxed myself. At least the squirrels are happy burying them all over the back yard. Hey, it’s free lawn aeration, right? Here are some favorite reads over the last couple of weeks. Have a great weekend. 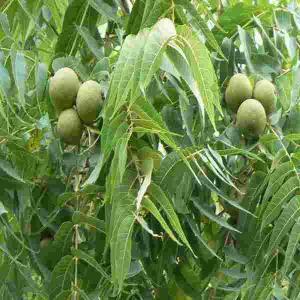 And, if you’re near any walnut trees, keep an eye in the sky! Thank you SOOOOO much for including my post in this round up. That was one of my favorite posts that I have written so far. Thanks again! You bet! Have a good weekend.